With in insurgence of optical mice on the maket and even the latest release of laser enabled mice, are mouse pads really necessary? 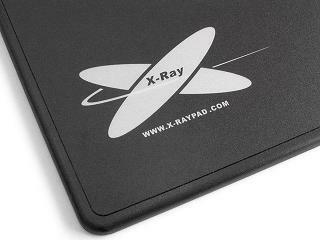 This reviewer thought so until thegamercompany.com sent TWL a few items from XRaypad.com to try out. The items included the Thunder8, Thunder9 and the Aqua3 mouse pads. Also along with each pad came the Zerofriction stickers to put on your mouse to assist with the glide of the mouse. Each mouse pad was designed with different users in mind. The Thunder8 being the smaller of the three pads being marketed towards the smaller deskspace for those possible gamers who don't need much realestate, but sporting the reversable face for the option of smooth or rough surface. The Thunder9 sizing up just a little bit larger than the Thunder8 and being the favorite for this reviewer. Then finally the Aqua3 being the largest of the three pads. The next few pages will give an overview of each pad in a little more detail.